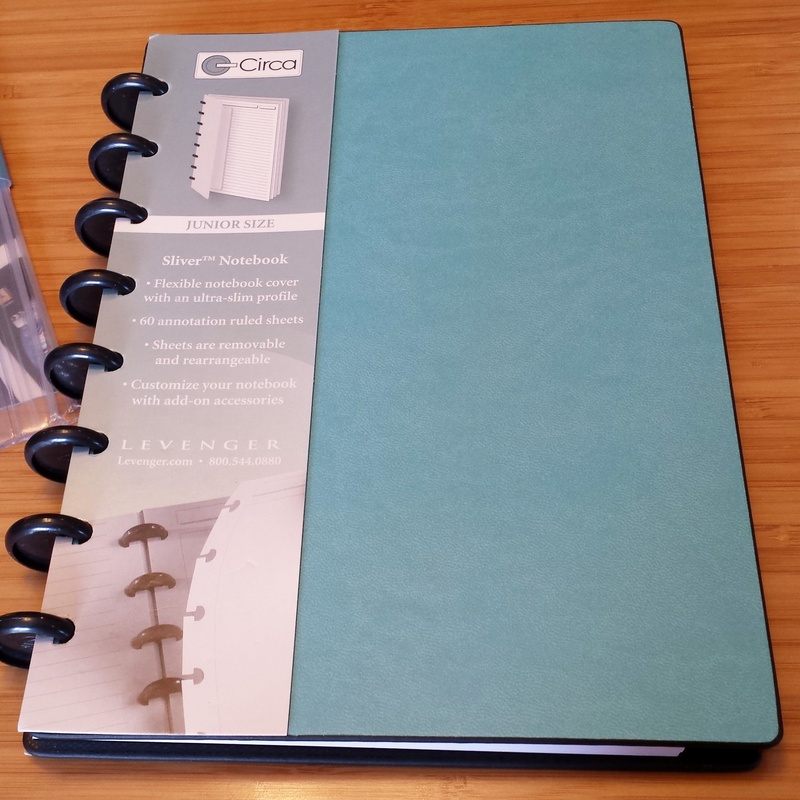 As I’ve mentioned in previous posts, I love the thin and light style of the Levenger Circa Sliver notebooks. 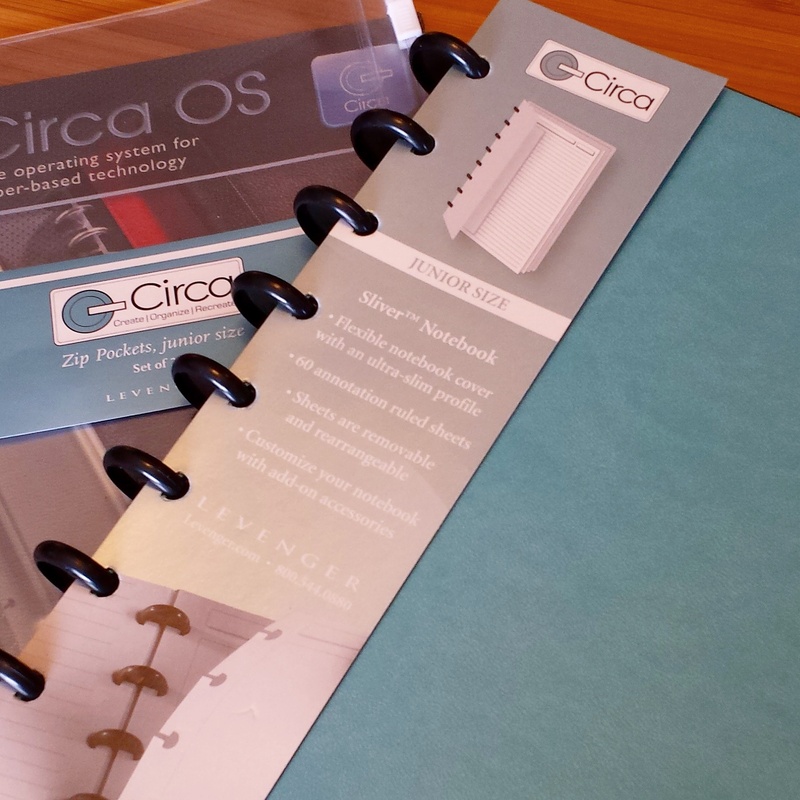 They provide a sleek professional look to your Circa that doesn’t take up valuable disc space or add precious weight and bulk to your notebook. 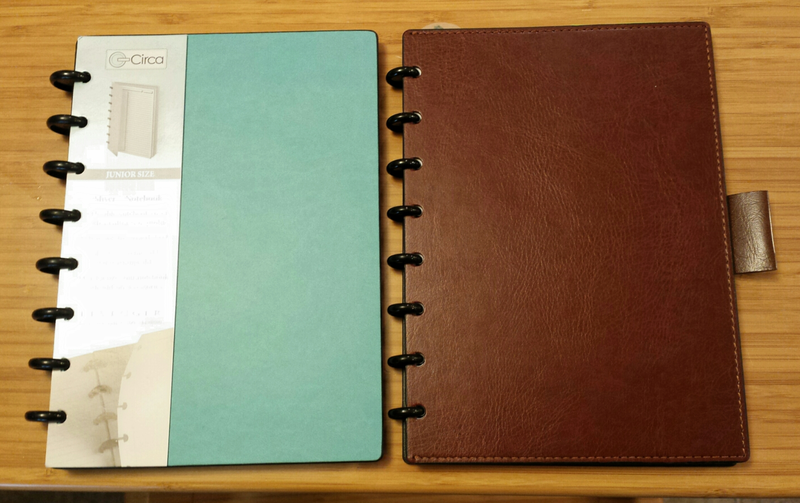 But while I love my Cocoa-colored Sliver cover with pockets, I was jonesing for some brighter colors. So when Levenger came out with the new Sliver Inside Out covers, I had to try one!! I was so impatient I even bought it from Amazon so I could have it in two days (thank you Amazon Prime!!!). I also needed some new Circa zippered pouches, so jumped on a pack of those too. They arrived without the usual fancy Levenger packaging, just in a sealed plastic envelopes. First impression? This blue is WAY prettier than I thought it would be in person! 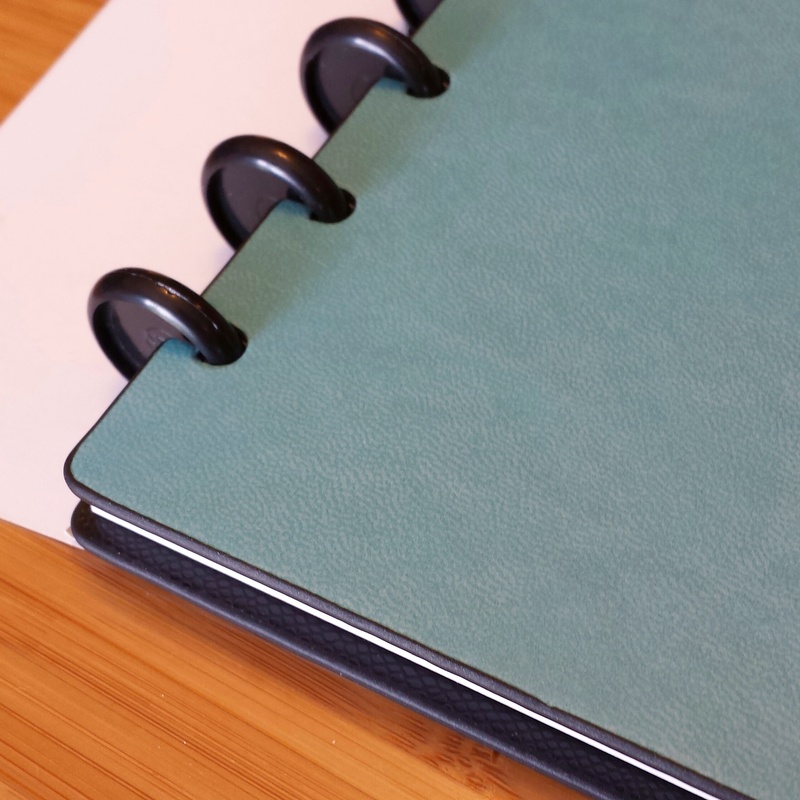 The Inside Out Sliver Notebook is called such because it is intended to be reversible – you can use either the colored side, or the black textured side. 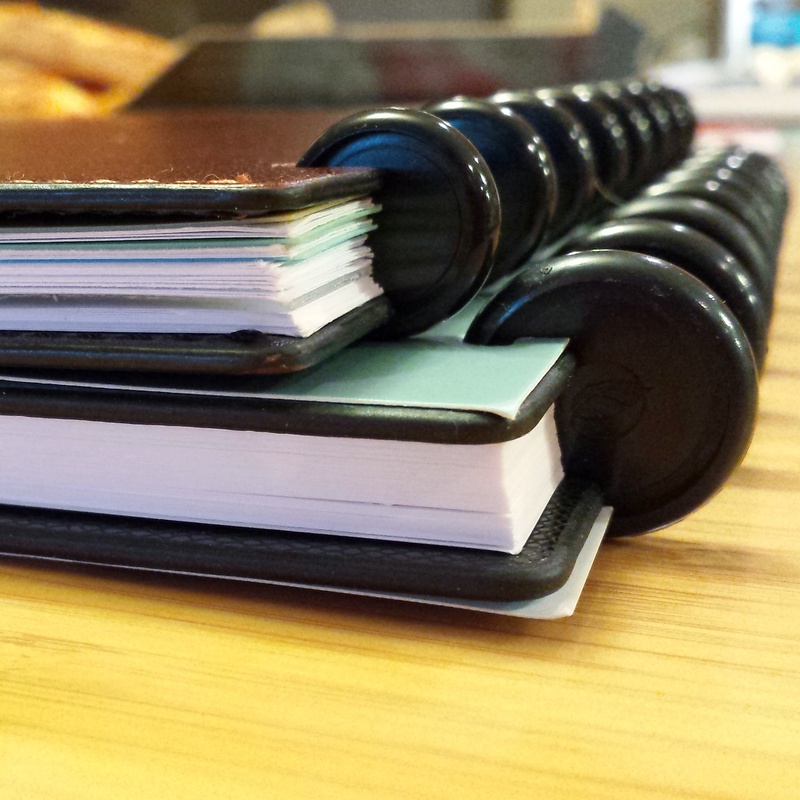 As a result, there is no Levenger embossing or other marks that would ordinarily denote one side over the other. The blue side has a faint texture and pretty robin’s egg blue color – not just blue, a little greenish/turquoise tint to it. The black side has a more obvious texture pattern – I personally don’t like it as much as the colored side, so won’t be reversing it very often I don’t think. 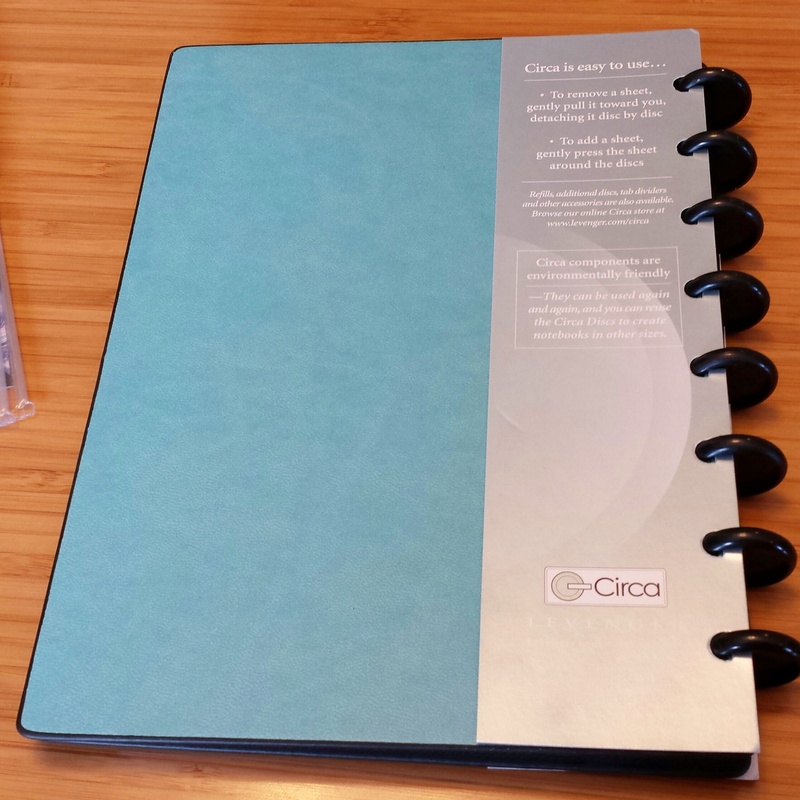 The Circa Sliver Inside Out Notebook comes with standard black plastic 3/4″ discs and Levenger’s Annotated Ruled refills. Although it doesn’t have pockets, or an elastic band closure, or a pen loop, it does have the same slim and trim style I love. 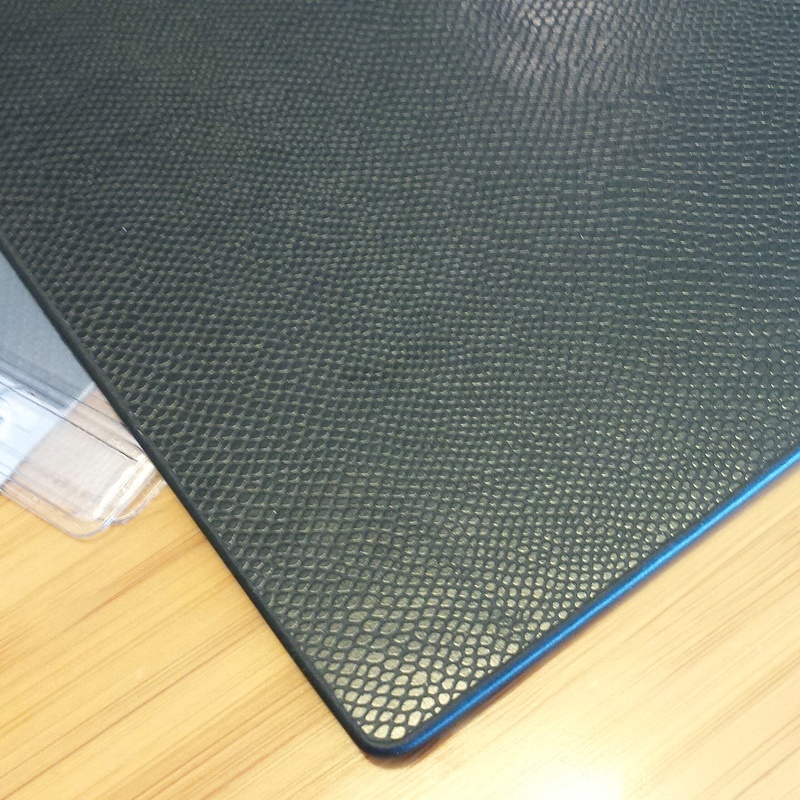 Here it is compared to the Sliver Cover with Pockets version with 1/2″ discs. 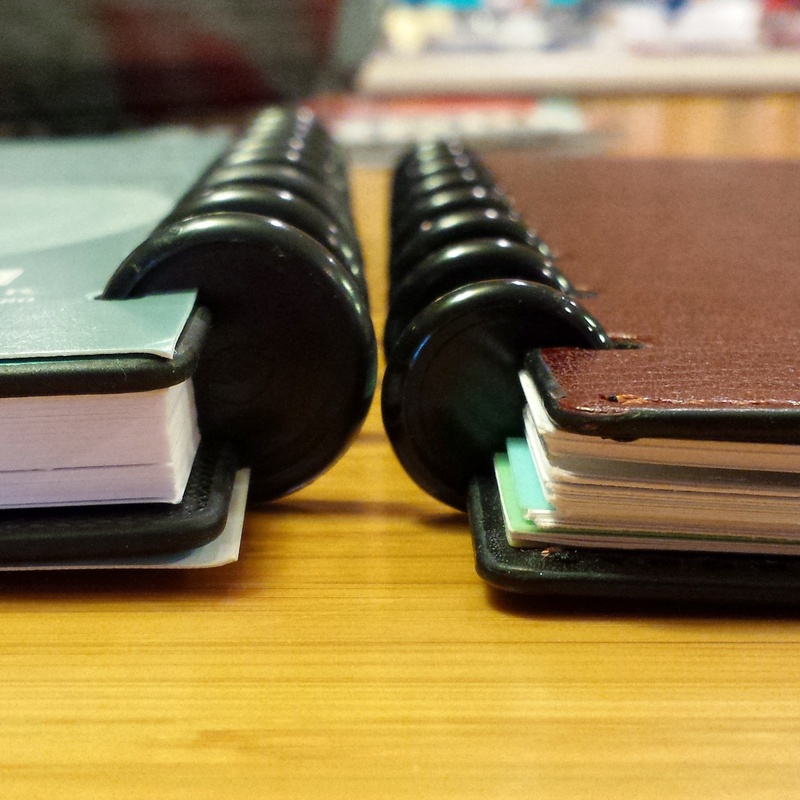 Showing that both Sliver covers have the same thickness. I like this blue color so much now, I might need to snag a purple when it gets discontinued. 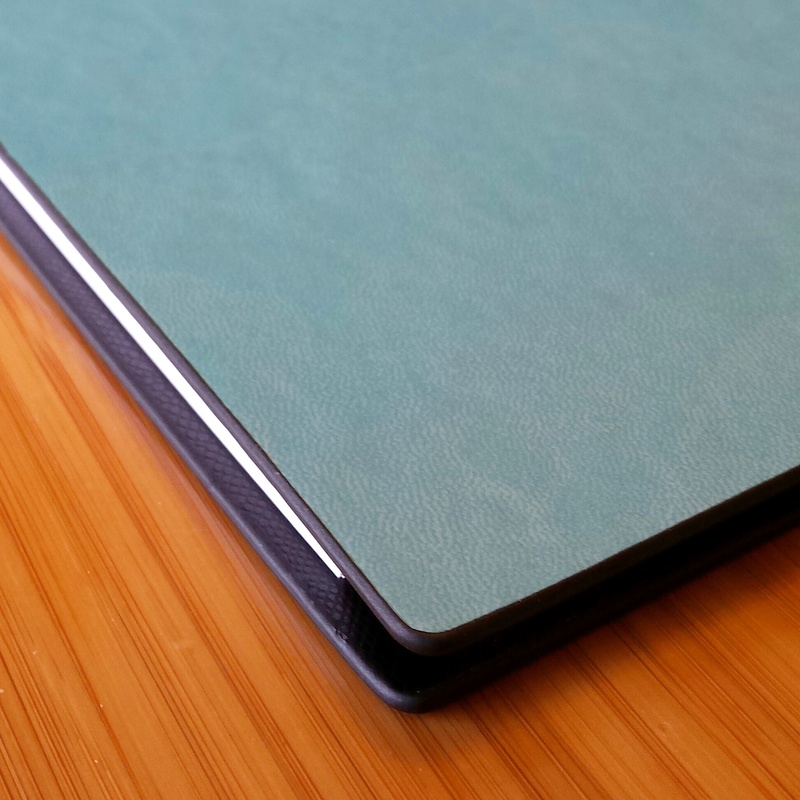 I really think these new slimline covers are a unique and highly desirable line of notebooks – I really hope they come out in some fun BRIGHT colors (WITH POCKETS and elastic loop Levenger, PLEASE!??) – like orange, or fuschia, or lime green. Something bright and fun to go with the Vivacious tab dividers and file folders. What do you say Levenger?